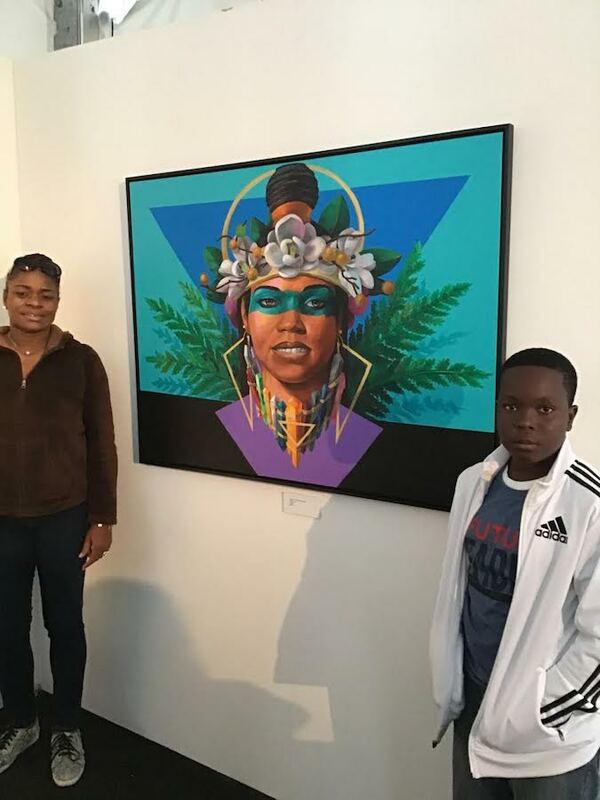 There, the young Sean met Dr. April Williams, Principle of Jose De Diego Middle School, who was impressed by his passion for art and his presentation to the teachers on why he decided to create the painting. 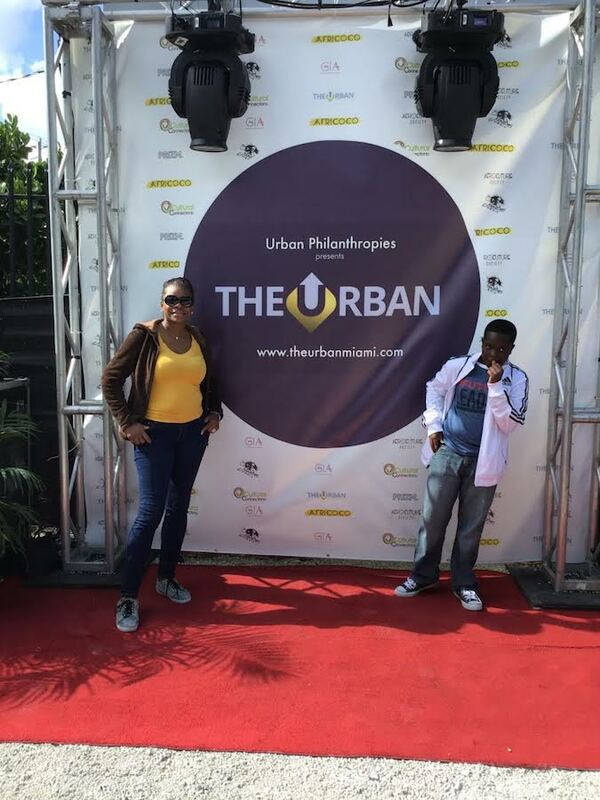 Tribune Weekend was there and at that time, Dr. Williams promised to invite Sean and Ms. Bodie to the next RAW project during Art Basel. 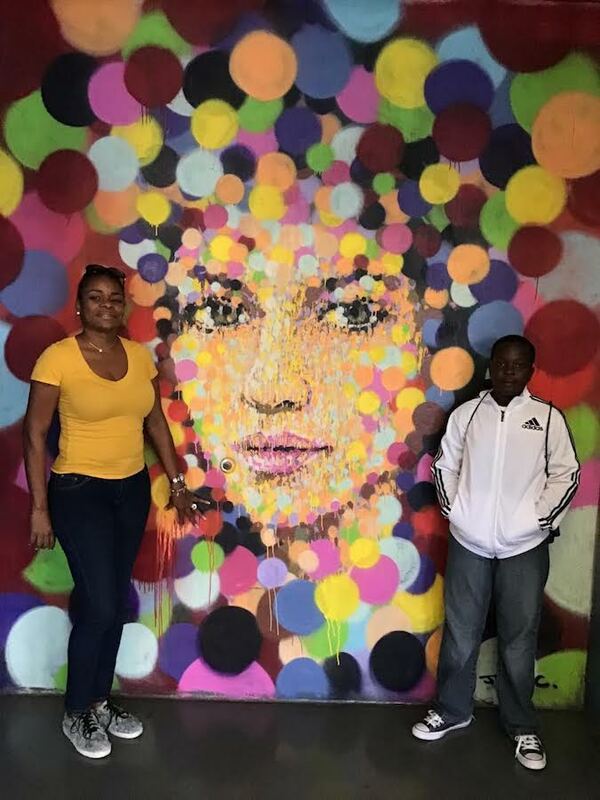 That promise was fulfilled during the second week in December, giving Sean the opportunity to make history as the youngest participant and the first Bahamian to decorate the school’s walls in the city of Wynwood. 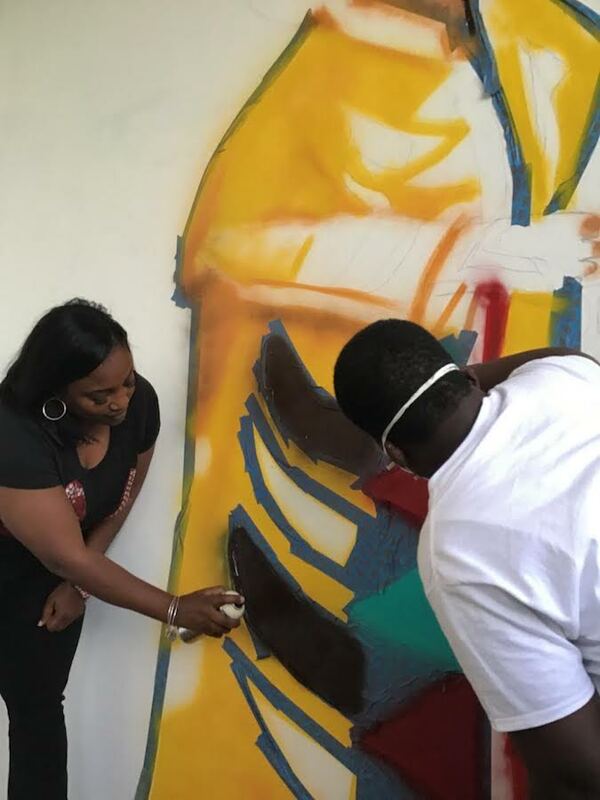 RAW project (Re-imagining the Arts in Wynwood) coincides with Art Basel Miami where every street in Wynwood is bustling with artists, musicians, bloggers, street art murals, galleries and art enthusiasts from all over the world. Art Basel Miami attracts thousands of visitors every year to party, socialise, and celebrate its love of the arts. With Wynwood being such a creative neighbourhood, it was ironic that the local schools did not have an art department or any art funding. The RAW project began in 2014 to bring color and inspiration to Jose De Diego’s bland white concrete walls. The school taught over 600 students ages 11 to 14, but lacked any art education, until the RAW project stepped in. With the help of street artists from all over the world, the school’s walls were transformed with color and inspiration for the students. The project is also responsible for an ongoing $500,000 fundraising campaign to support the school’s art department. 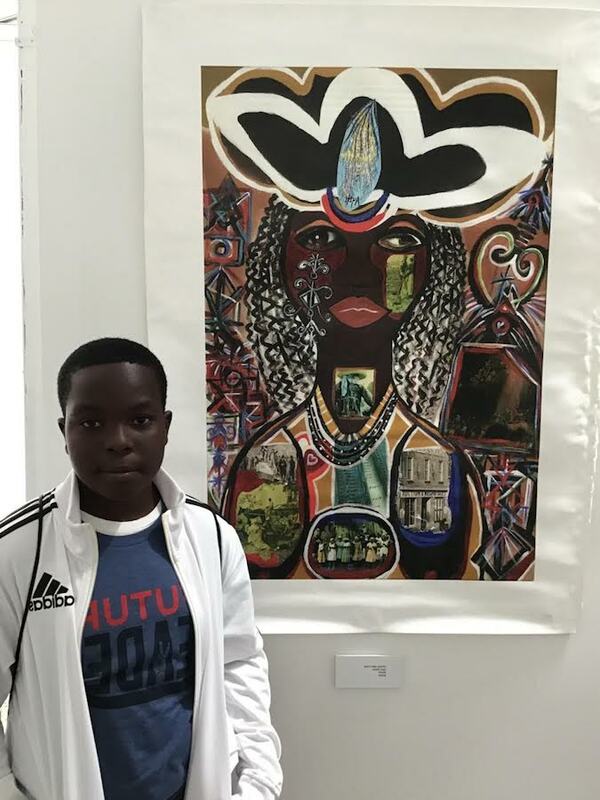 The theme for this session was: “Welcome to the Afrofuture” – a theme for which Sean’s Junkanoo art piece fit in perfectly. Ms. Bodie gave special thanks to Mr. Jack Thompson for financial assistance for Sean. The major part of the funding was sponsored by the school, and Ms. Bodie says Dr. Williams and her staff gave her and Sean the royal treatment for the three days they were there. Artists participating in Afrofuture included Denisio Truitt, a graphic and clothing designer of Liberian descent; Felice Gee, a Brooklyn-born artist with a long-standing interest in the gentrification of urban neighbourhoods; Courtney “Ceaux” Buckley, a New Orleans-born multidisciplinary artsist; Sokari Ekine, a Nigerian British feminist educator, writer, visual scholar and activist; Soraya Jean Louis McElroy, a Haitian-born mixed media artist; Nate Dee, a colourful street artist; Vitus Shell, who has painted for the National Civil Rights Museum’s NBA Pioneer’s Exhibit; and King James Britt, a DJ and Pew Fellowship recipient. When Sean met Dr. Williams, he was a student at T. G. Glover Primary. Today, he is the recipient of a scholarship to attend Windsor at Albany Preparatory School. “Sean takes a great interest in art,” Ms. Bodie said. She started out in the Ministry of Education as a janitor and worked her way up to becoming a teacher. She is self-taught, but combined a thricing passion with her natural ability to create beautiful art pieces into her current career as a teacher. She also encourages the Prime Minister to pay a visit to0 the school and see the larger than life painting of himself.